Chennai: In a startling revelation, the Tamil Nadu police on Monday told a city court that suspected Pakistan’s Inter Service Intelligence agent Sakir Hussian was working on a plan to sabotage the Indian Navy bases at Kochi and Visakhapatnam. The police was seeking custody of Hussain for further investigation, at a metropolitan magistrate court in Egmore, Chennai. The state police’s Q Branch, which monitors external terror elements in the state, told the court that the Colombo-based Pakistani handlers of Sakir Hussian had wanted him to collect details of the two Indian Navy bases. 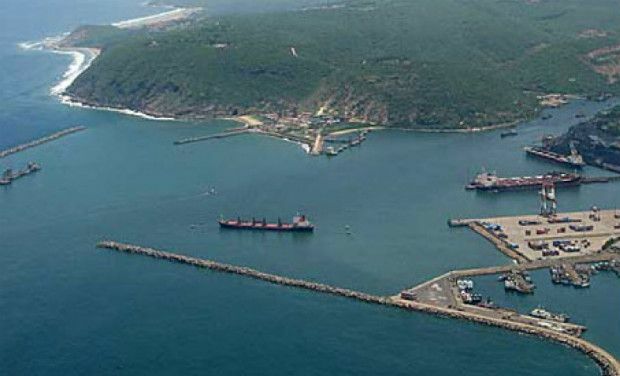 The naval base in Vizag is the headquarters of the Eastern Command while Kochi has the training facility of the Indian Navy. “We are alert because of the recent incidents and developments,” a senior defence official told Deccan Chronicle. “Sakir Hussian was asked to collect details of the US Consulate in Chennai, the Israeli mission in Bengaluru besides the blueprints of the two naval bases,” police sources said here on Monday. The joint team of CB-CID and Q Branch is also expected grill Hussian about his possible link with the twin blasts at Chennai Central railway station on Thursday morning that killed a woman software professional. Suspected Pakistan’s Inter Service Intell-igence agent Sakir Hussian, a native of Sri Lanka, had been travelling to India posing as a cloth merchant for many months. In the last six months, he had made nearly 20 visits to India, police sources said. “As far as we know he had dispatched details of the US and Israel missions to his Pakistan handlers in Sri Lanka,” police said. Meanwhile, the CB-CID police, which is probing the twin blasts on a train here that killed a woman, have obtained leads hinting at the possibility of role of terror sleeper sells in Karnataka in the incident. The interrogation of two suspects in Bengaluru by a CB-CID team with the support of central intelligence agencies and Karnataka police has led to leads about the supportive role played by some sleeper cells in the neighbouring state, an official privy to the investigation procedure said.